Have you been watching the Mountaineers this season and thinking they are so close to being really good? Getting Holton on the court could be the final spark to get him over that peak. He has been called by many as the best player on the team. 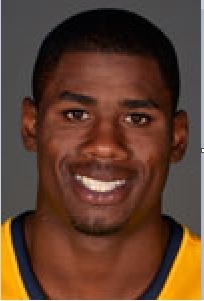 It appears that Jonathan Holton could, indeed, play for West Virginia’s basketball team this season. When remains a question for the NCAA. The junior college transfer, who was ineligible to play right away because he had not completed requirements for a junior college degree, has now apparently completed those requirements. But he still needs an NCAA eligibility committee to approve his status. All of this is according to WVU sources, who because of academic privacy issues won’t speak on the record. Coach Bob Huggins, when asked about it following West Virginia’s 74-69 win over TCU Saturday, would only say that he was encouraged about Holton’s status.